Organic Search is a simple and effective solution for many websites. It can, and often is, done by website owners for minimum or no cost without the help of a professional Search Engine Optimisation company. Your website is designed, structured and written by you or your web design professional to be search engine friendly. It should contain rich, relevant content with plenty of links. Meta Tags are carefully written and added to the site code. Your URL is then manually submitted to the leading national and global search engines and directories. Brand or Product searches e.g. “Microsoft Office”. If you are looking for the supplier of Microsoft Office products, you will find microsoft.com, among many, many others. Company searches e.g. “Microsoft” or “Apple”. Someone who knows of your company and simply wants to find out more will find microsoft.com and apple.com with ease. Organic search can be impressive for broader searches too. Terms like Web developer Edinburgh, yield web designers, that are either based in or serve the Edinburgh area, very effectively. If you are doing your own Search Engine Optimisation (SEO), then, unless you are one of the few real SEO experts out there, then you are probably not getting the results that you need in this highly aggressive market. This is where Optimised search comes into play for many people. So how do you get a top ranking in the major search engines like Google, Yahoo, Bing, etc if you are in a highly competitive commodity market (e.g. online CD sales), deal with people who will not recognise your brand or are in a very fiercely contested service industry? This is where Organic Search may have its limit. There are thousands of competing online retailers and services. Your brand and company name are unlikely to mean anyone to someone who is looking for a particular product or service for the first time. To make matters even worse, there are hypothetically thousands of sites offering goods or services in your area that are not actually based there. So, the chances of your site making the critical Top 50 or 100 for your specific search term or keywords are remote. Yes, DIY Organic search in great, when it is done correctly. But there are limitations to it as we all know. So perhaps it is time to hire a professional SEO firm to create and/or optimise your online presence or advertising campaigns. Otherwise, you risk lack of exposure, reduced sales, poor brand recognition and ultimately lower profits. Is that truly worth it just so that you can save some money in the short term by attempting to do this yourself? You know the answer to that one! Get important information in the sphere of security – please go through this web site. 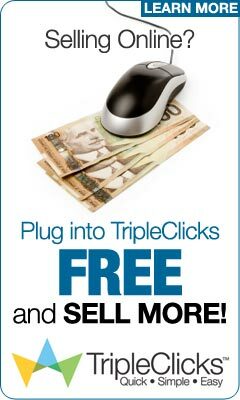 The time has come when proper info is truly within one click, use this opportunity.